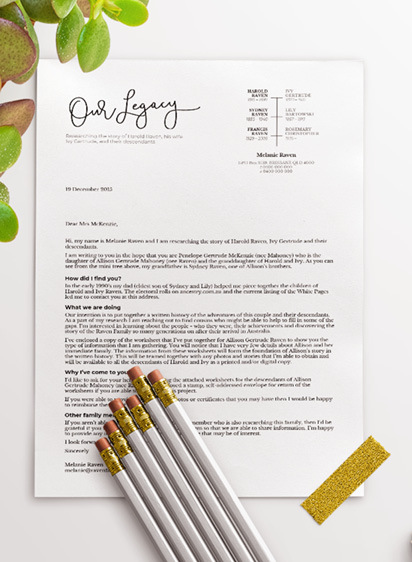 Have you read Grab your Family Tree Letterhead template and create a custom banner with Canva? 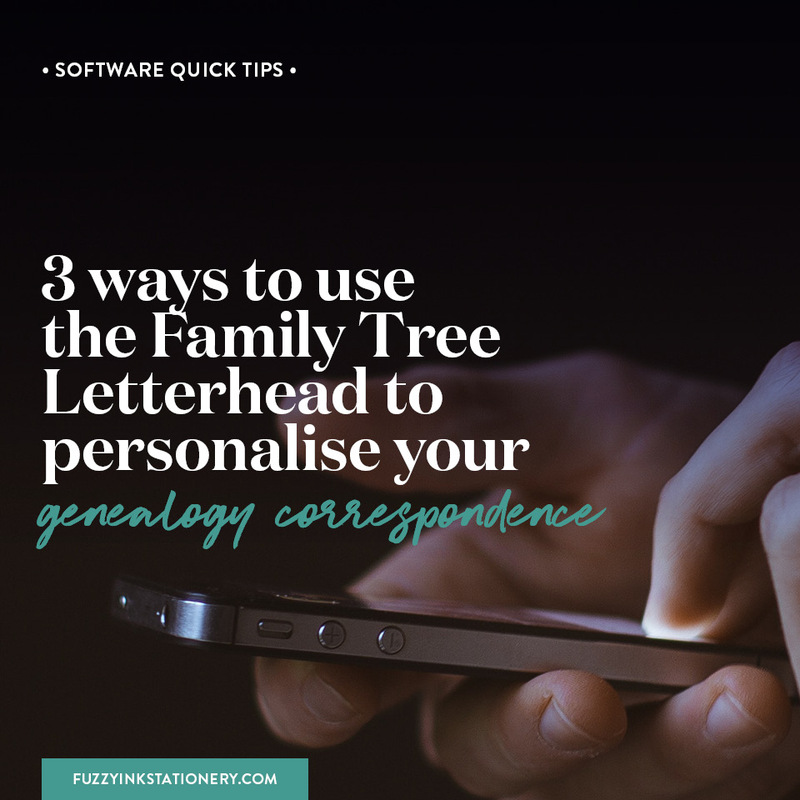 If so, then you’ll know that I made a letter template for all of my genealogy correspondence. Why? Because I was writing elaborate introductions that went on for paragraphs. Those ramblings were so confusing that by the end even I wasn’t clear on the connection. This template was typically for sending letters through the post, but it’s not always possible to get a physical address. 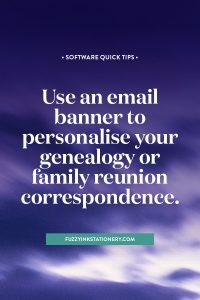 Sometimes you can find an email address, but it’s becoming more common to connect via social media or genealogy sites. Does that make the Family Tree Letterhead template obsolete? Far from it. As I’m sure you’ve discovered in your research journey, it’s all about adapting and trying things another way. 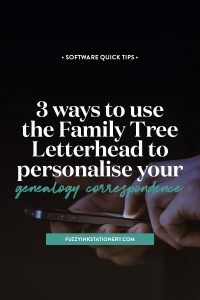 So I want to share the three ways that I use the template for all of my genealogy correspondence. While this option is self-explanatory, you can also learn more from the earlier article. 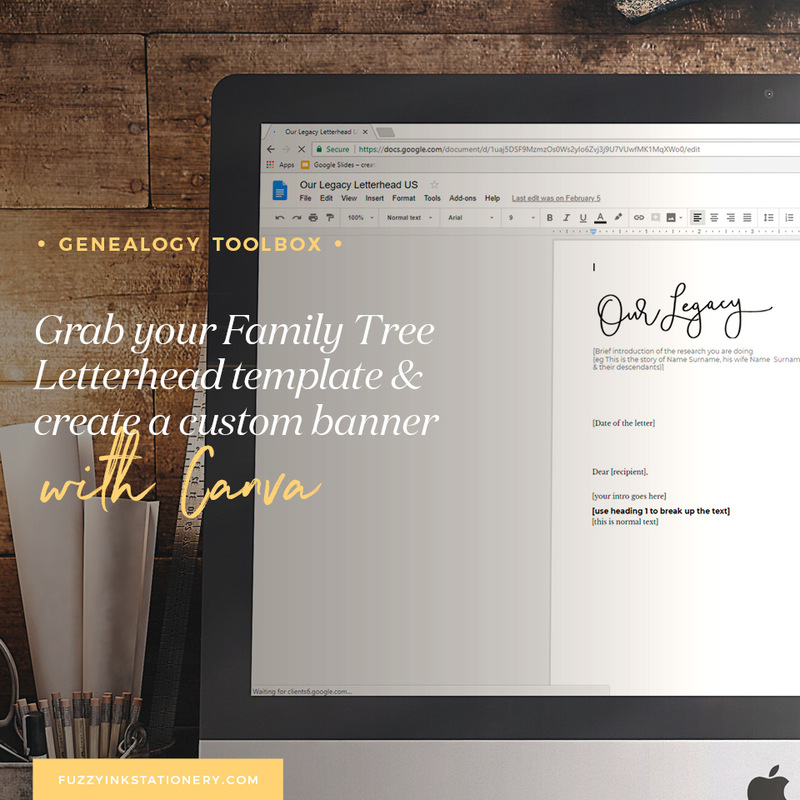 Visit Grab your Family Tree Letterhead template and create a custom banner with Canva to learn more. The Family Tree Letterhead is adaptable and has more uses than mailing a letter. 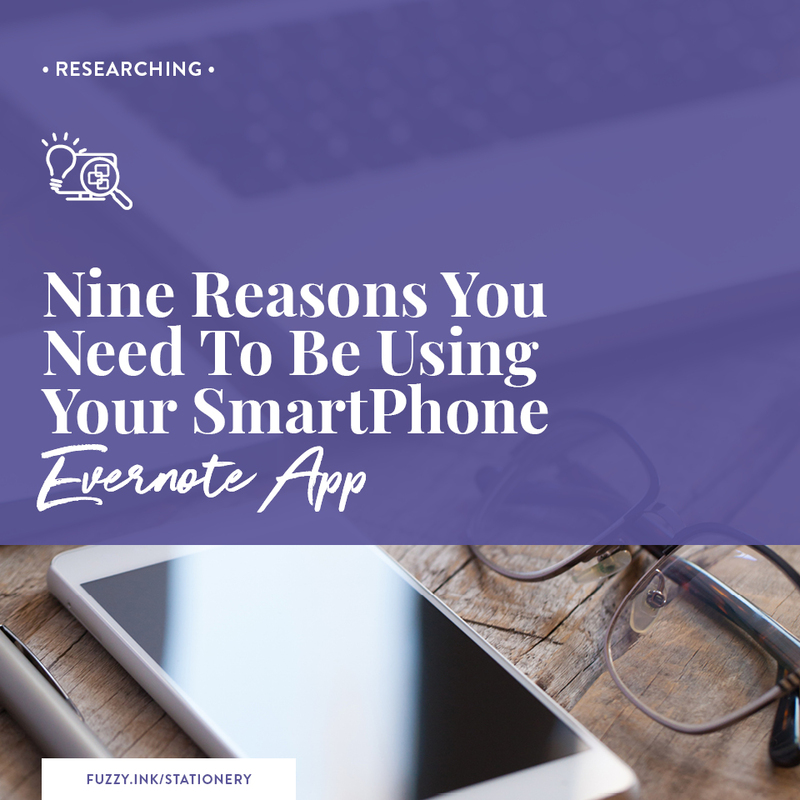 Another use is as an email banner. In just a couple of minutes, you can convert the Google Docs file into an email ready JPG. Check out the video below to see the steps I take to turn the header into an email banner. Do you need instructions to add the images to your Gmail or Outlook account? Download the Embedding Images In Email cheat sheet. One of the great features of Google Docs is the ability to share the file with others. Furthermore, it’s easy to adjust the settings. Review the document owner settings. 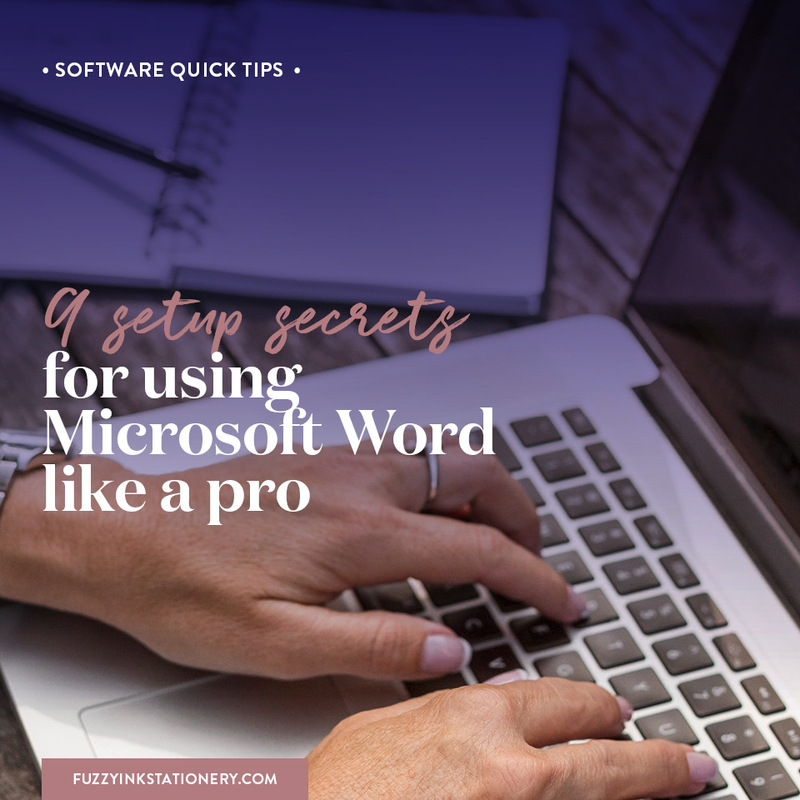 Another option is to disable the ability to download, printing or making a copy of the file. Finally, the link is ready to share via direct message on social media or a genealogy website. The best part? The recipient doesn’t need to log into their Google account to read your letter. Not all messaging software will create a hyperlink. Therefore, an excellent solution for sharing is creating a shortened link. Some sites will create shortened links, but I recommend using bitly.com. It’s free to create an account and use, with the bonus option to track your links. Then share that link with your potential new cousin. What do you think about trying one of these approaches to contact your cousins? Or maybe you have another creative idea that you use? Tell me what you think in the comments below.